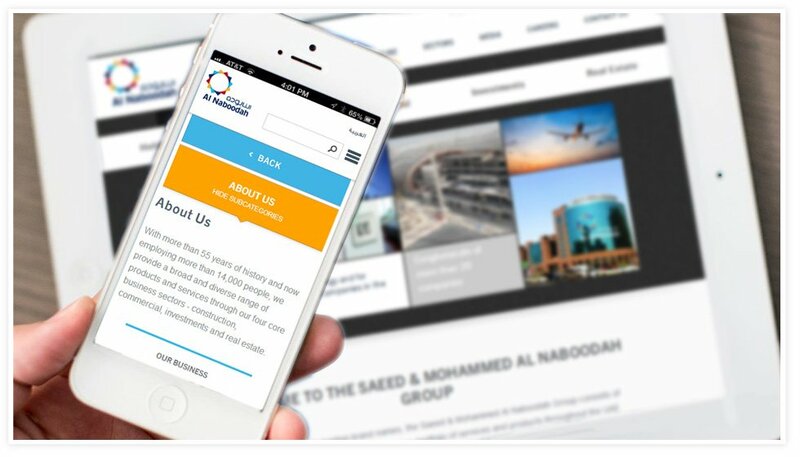 The new Al Naboodah website is a design master class and a few notches above the previous one. 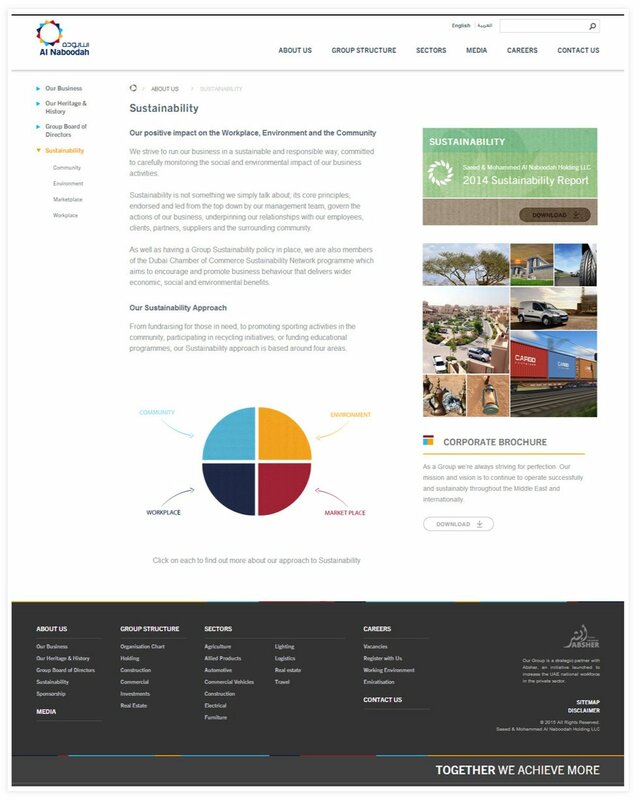 The new design is well conceived, user friendly, visually appealing and uses white space to great effect. The font selection is just perfect in terms of style and size , allowing for an easy reading experience on both mobile and desktops/laptops. 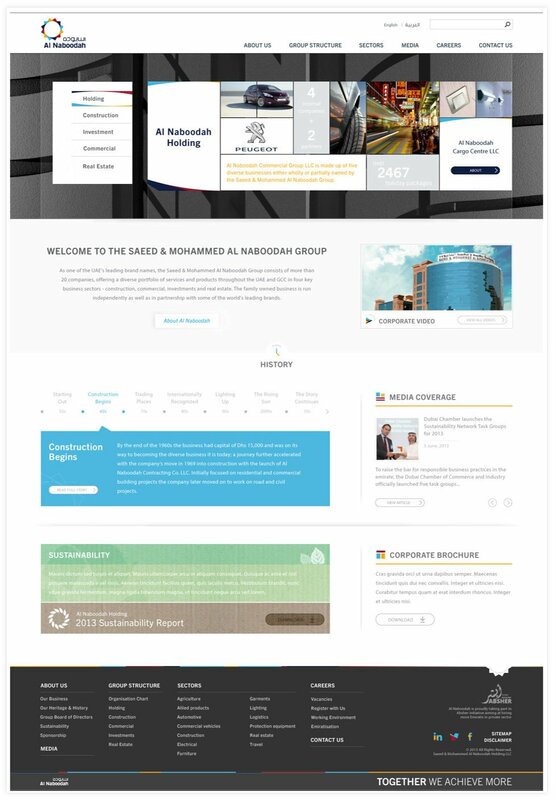 Instead of using a typical carousal on the top of the homepage, Cactimedia has gone with a grid style collage of images showing the various sectors Al Naboodah operates in. The homepage also does a great job in giving coverage to all of the important segments of the website – the “Who we are”, history, media coverage etc. All in all it’s a visually appealing website that exudes a corporate look while also making a strong case for its inclination towards innovation and doing things differently. 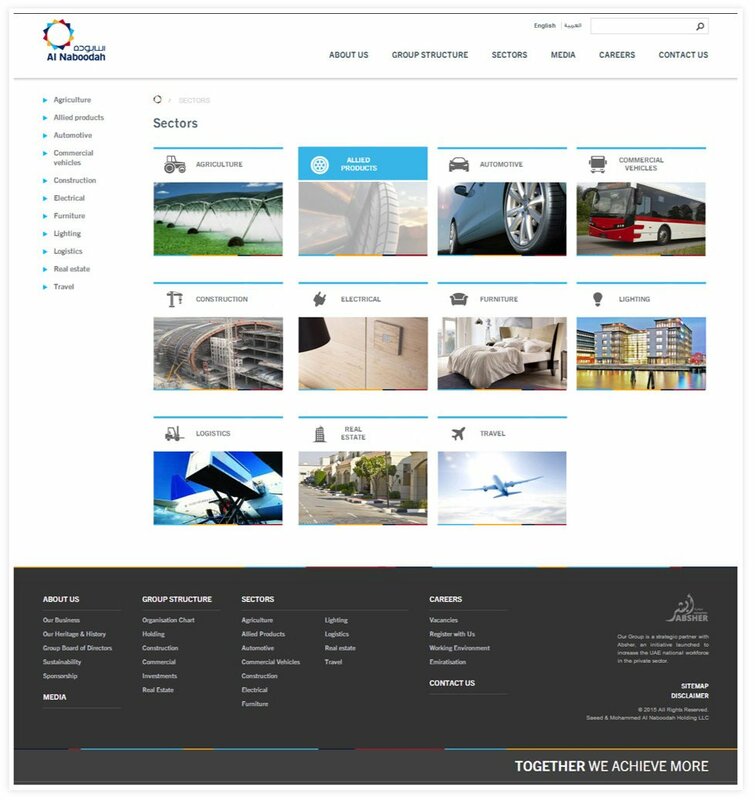 The website caters to both English and Arabic users and is responsive to all screen sizes.